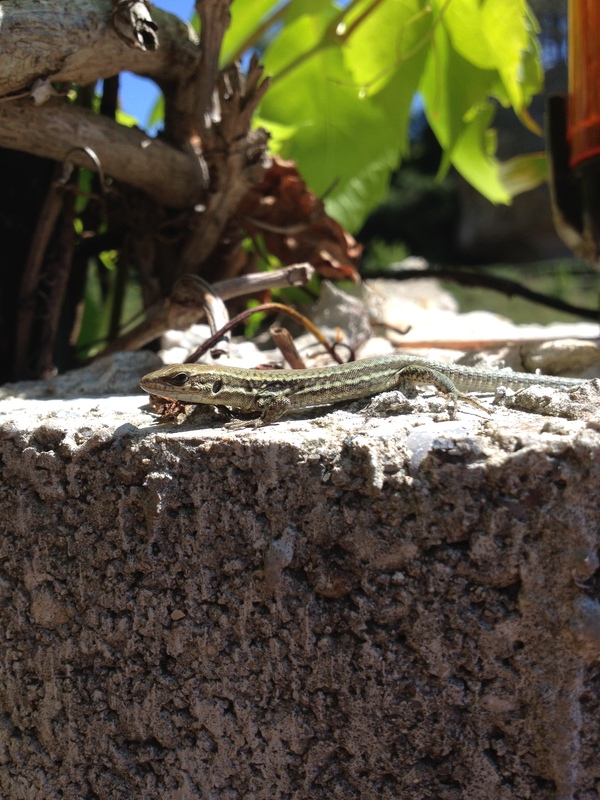 N is for Nature – Flora, Fauna & sometimes a snake! I can’t help it, I really enjoy being close to nature. 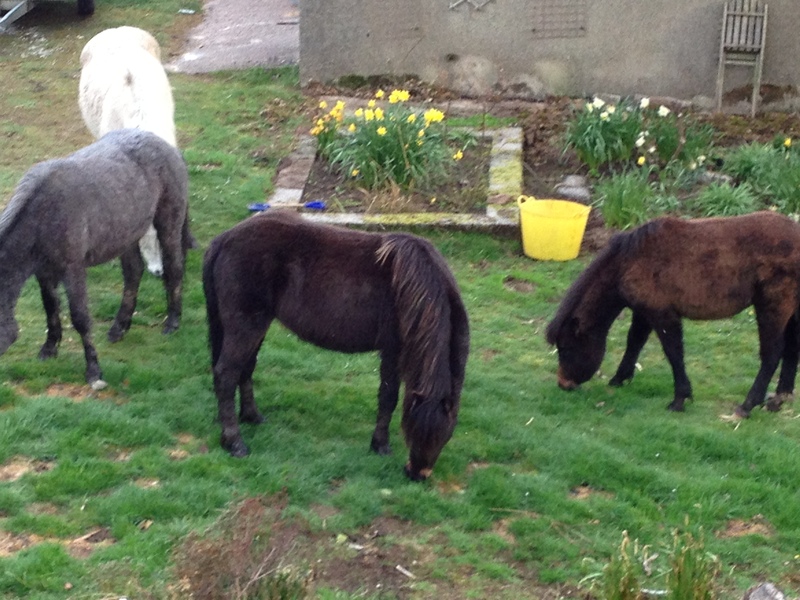 We live in a small village, nearly 1000 feet up on Dartmoor within the National Park so we have a daily procession of sheep, cows and ponies walking past our front gate – and occasionally breaking in to eat whatever they can find in the garden. 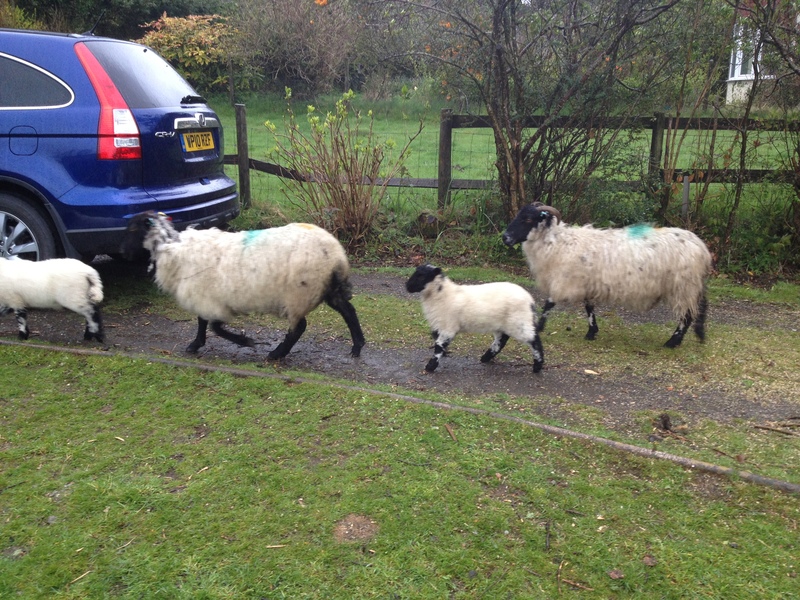 And then there’s the sheep !! 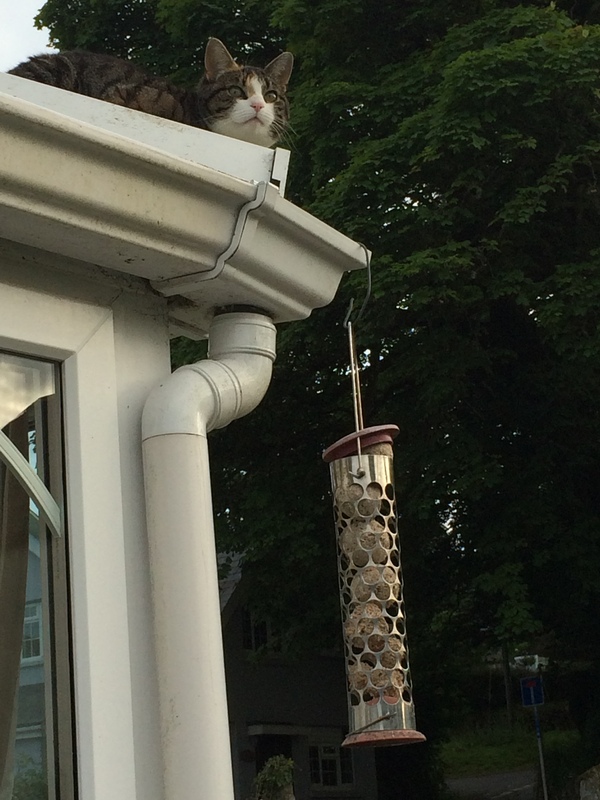 We also have a very popular bird-feeding station, frequented by a fantastic range of birds, which seem to have developed their own stacking system (akin to the final approach to Heathrow) to make sure they all get their chance at the delights on offer, even when our cat is on patrol. We regularly see deer in the valley in front of the village & the boys were delighted a few evenings ago when 3 fox-cubs were playing in our back field – I have even recently seen my first Cuckoo in flight on our morning walk. You are probably thinking by now that you have stumbled into the wrong blog, but really this just another reason why I really love where we go on holiday. I’m not a great lover of city-breaks – I’m usually happy for about 24 hours, but then yearn to just sit quietly somewhere and listen to the birds, which is one of the simple pleasures of Provence. 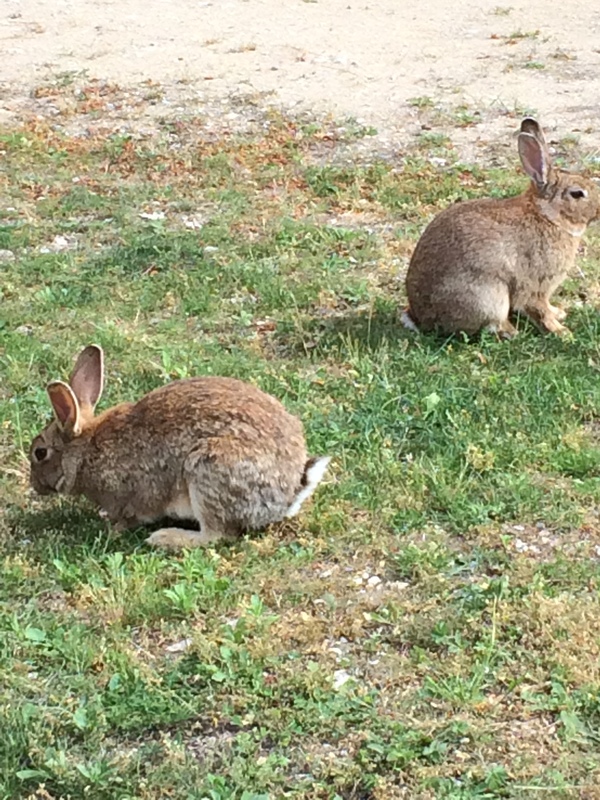 On our visit in May I spent the early mornings watching the sun track down the face of the Luberon, listening to the birds, whilst watching the (rather fat) local rabbits that had made the garden of the house their home, lollop happily around and laze in the sun in the chicken pen. 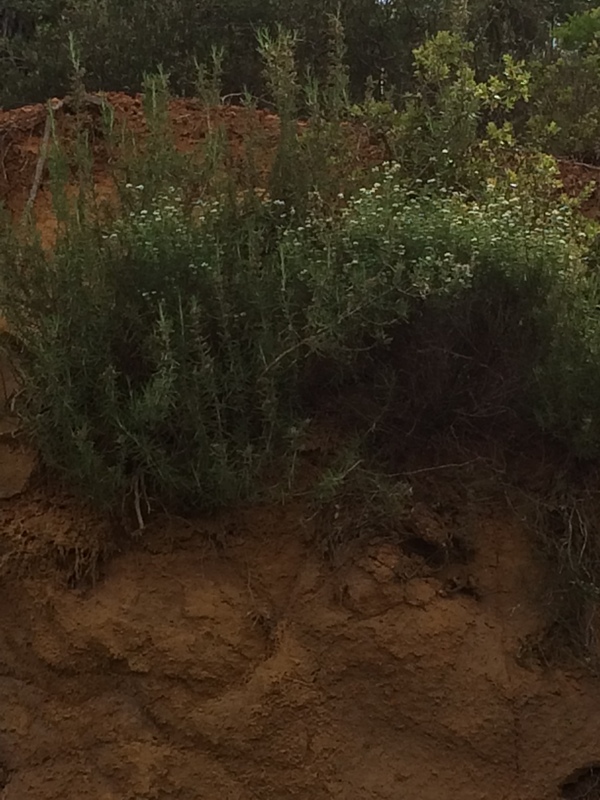 Of course with it being a very different climate the wildlife is very different to that which we see at home – my hubby still talks about the evening he was cycling back from Gordes towards Lagnes, when he thought some boulders had fallen across the road – only for 3 Wild Boars to get to their feet & hurtle off into an adjacent vineyard – not a regular occurrence in Devon! If I don’t move – they can’t see me!! 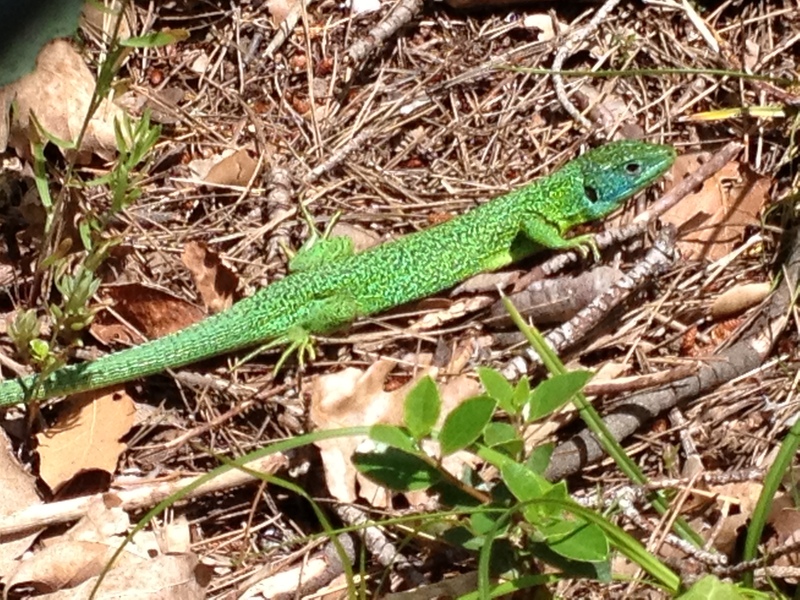 …….until last year when we saw a rather large bright green and blue one, basking in a shaft of sunlight near Fontaine de Vaucluse. I thought, perhaps, it was a one off, but this year I saw another two warming in the early-morning sun at Oppede Le Vieux. Very colourful & quite bizarre. 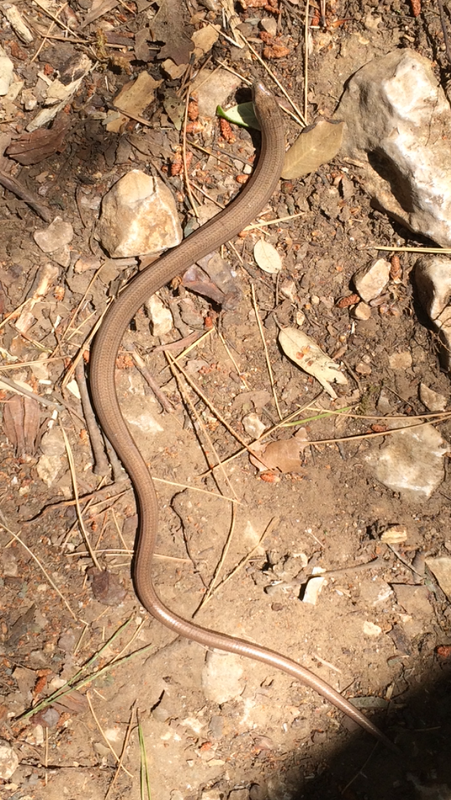 It has to be said though that the creature causing the most concern in our family is a snake – size, colour & whether venomous or not doesn’t matter – the sight of a snake is usually enough to cause mild panic. With that in mind you can probably imagine the reactions that took place, whilst we were sitting by the pool after a great day’s cycle when we watched a large bird of prey fly towards us from the ridge of the Petit Luberon. At first I thought it was free-flying from a Hawker as it had something trailing behind it, but as it flew overhead it became very obvious it had a large snake trailing from its talons. The conversations over supper that evening were then focused on what the reaction would have been if an angry snake had been dropped from a great height into one of our laps – needless to say it proved quite an amusing discussion. 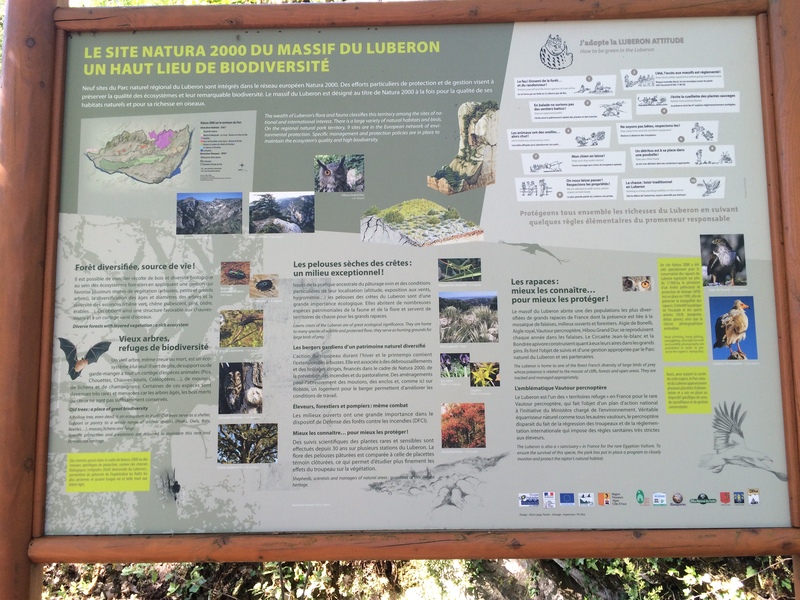 The Petit Luberon is a wonderful haven for wildlife and also a reserve for Egyptian Vultures, which seem to thrive in the area, I don’t think it was one of those we saw carrying the snake, but they are stunning to watch. 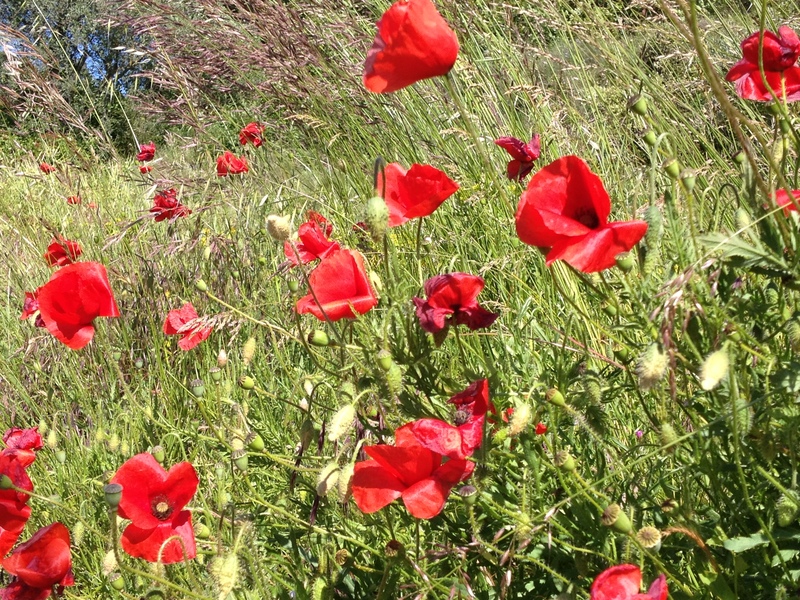 Not only is the wildlife wonderful, but the plants and wildflowers are stunning, particularly in Spring when the verges are full of colour and the fields (clear of pesticides) are bright red with a blaze of poppies. The first is the chattering and shouting of the frogs, from any area where water can be found. The first time we heard them it sounded to us as if there were monkeys calling to each other and were rather surprised to be told it was actually the local ‘grenouilles’. 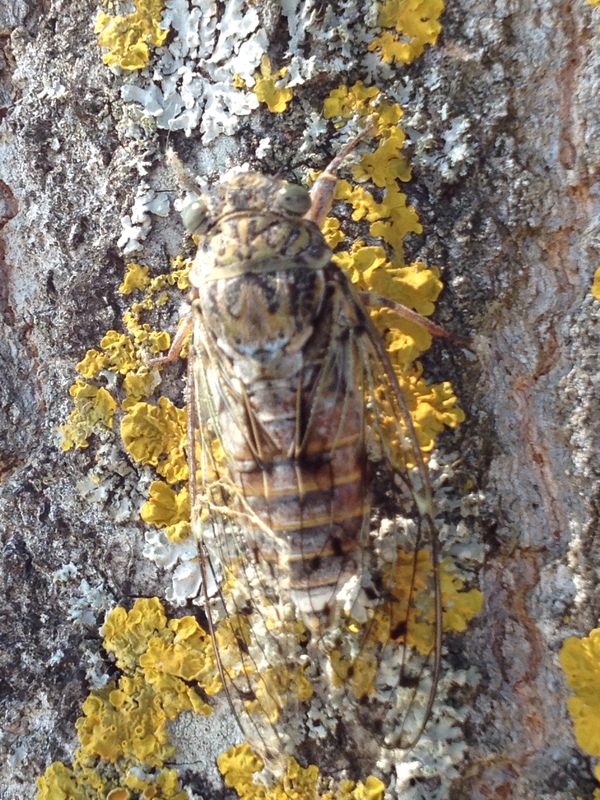 The second of course there is the ever-present screeching of the Cicadas during the Summer months – I sometimes see on Twitter suggestions being made on different ways to stop them making their noise, but for me this is the sound of Provence and one I am always delighted to hear at any time of day!